University of Oklahoma quarterback Kyler Murray is electric. This is someone who can make impossible throws, both in the pocket and out, and has breakaway speed as a rusher. It is because of this that Murray currently has a completion percentage of 70.3, 34 passing touchdowns, a passer efficiency rating of 205.8, and 10 rushing touchdowns. But what if I told you that Murray has his sights on playing Major League Baseball, as he was drafted 9th overall this past summer by the Oakland Athletics as an outfielder. 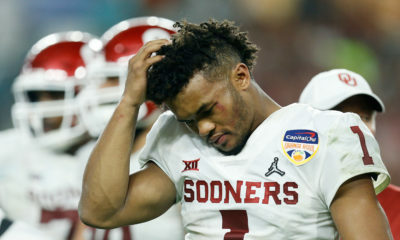 But here’s the thing, Kyler Murray should think about playing football long-term. 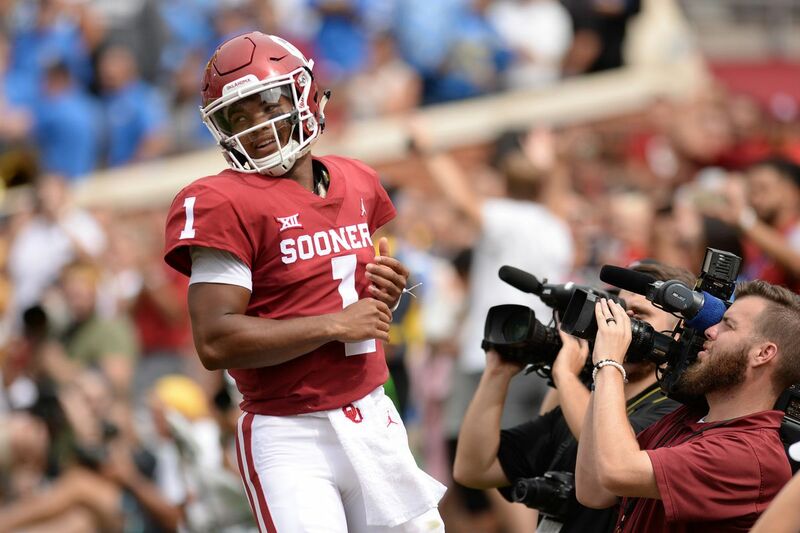 Kyler Murray hasn’t taken the traditional route to college football stardom. He started his career in 2015 at Texas A&M, where after a so-so eight games played, he transferred to the University of Oklahoma in 2016. Murray was forced to sit out all of 2016 due to the NCAA transfer rule. But for Murray, this move had to be all about the long game, as Baker Mayfield was firmly entrenched as the starter. Murray spent his 2016 and 2017 seasons learning behind one of the best college quarterbacks of all time and honed his game, knowing his chance was soon to come. And in 2018, Murray was announced as the Sooners starting quarterback. This year, Murray has been nothing short of spectacular. He has thrown for 300+ yards in all but four games. He’s had big wins against his Big 12 opponents, including beating now-ranked Iowa State. Even in the one loss he’s had this year against Texas, Murray was able to lead his team back on several critical drives late in the game, only to come up just short. 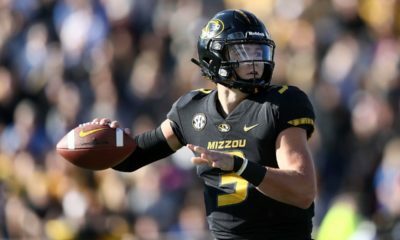 He has been a fantastic successor to Baker Mayfield, who left big shoes to fill. Murray currently is neck-and-neck with Alabama quarterback Tua Tagovailoa in the Heisman race. I’d argue that Murray is more deserving due to his dual-threat ability, something Tua doesn’t possess. But this great college quarterback also plays baseball, and has 4.66 million reasons to do so. Murray was the 9th overall selection in the 2018 MLB Draft by the Oakland Athletics. 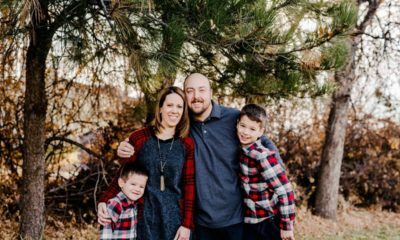 He signed a $4.66 million signing bonus, which is almost as much as Oklahoma Head Coach Lincoln Riley earns in a year. On the diamond, Murray plays with the same athleticism as he does under center in football. Murray plays center field, steals bases, and in 2018 hit .288/.377/.509 with seven home runs and 36 RBI. Scouts say he could eventually develop into a Jackie Bradley-type of player, where he will hit for modest power but will use his speed to excel in other areas of the game. People in baseball were not happy that Murray decided to return to Oklahoma for football. They argue that he is risking major injury, as well as needs to focus more of his time on honing his baseball skills and taking AB’s. Both of which are valid points. If Kyler tears an ACL, that would obviously take away from his baseball career, which as of now is slated to begin next spring. But by returning to Norman for football this season, I think Murray knows he has unfinished business with football. There is a part of me that hopes Murray will have a LeBron James-style decision special on ESPN, where we will await word on which sport he decides to play long term. He could be seated at a table with football pads and a baseball cap in front of him and then, in a dramatic turn, he puts the football pads on and announces he is entering the NFL Draft. Okay, I know what you’re thinking, but Murray as a football player would be the best thing for him, in my opinion. Let’s look at the positives. This crop of college quarterbacks stinks, let’s be honest. Oregon’s Justin Herbert is probably going to go back to school. After that, it is a motley crew of guys like Drew Locke of Missouri and Daniel Jones of Duke. And if you’re an NFL team, are you really going to put your faith in a quarterback from Duke? Murray would immediately become a top option for teams due to his dual-threat ability. Also, NFL teams are adopting more college-style offensive schemes anyways, so Murray could be in line for more success there. When it comes to the money, Murray’s signing bonus with Oakland of $4.66 million would be dwarfed by what he could earn as a first-round NFL pick. Even Lamar Jackson at #32 overall last draft had a $4.97 million signing bonus, and that was as the last pick of the first round whose agent was his mom. Imagine what Murray could be in line to make. Now, the not-so-positives. Negatives, some could say. Murray is listed at 5’10 and 195 pounds. That would be an inch shorter than Russell Wilson and would have NFL scouts worried. But it shouldn’t. Everyone thinks height is an issue until it isn’t. No one thought Wilson would become what he is today until he did. And Wilson shouldn’t be the threshold for quarterback height. It shouldn’t be, “Oh you’re shorter than Russell Wilson? No chance.” Why can’t Murray be the next great quarterback who is short, but succeeded? He currently plays behind an offensive line that averages 6-foot-5, and look at the production he’s had this year. Kyler, I know in baseball you can play for 20 years easy. But football is your first love. You were the best high school quarterback in the country. 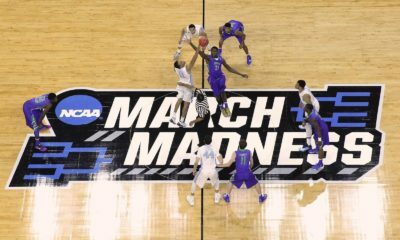 You currently lead one of the most electric offenses in college football and, if you play your cards right, you can be in the college football playoffs this year. Here’ s why I think this decision will be a harder one than we all think. You could have taken the baseball money and left Norman to focus on baseball. But you didn’t. You came back to football knowing you could be hurt severely. Don’t let height dissuade you from following your football dreams. If Russell Wilson can do it at 5’11, you darned sure can do it at 5’10. Also, if you go into the NFL Draft, you will start your career in the big show. In baseball, you’ll start at low-A minor league baseball, riding a bus, staying at motels, and eating crappy food. This isn’t a hard choice, Kyler. Choose football. And if that pitch doesn’t work, I can always try the “become Bo Jackson or Deion Sanders and play both.” And if he does decide to go that route, always pack winter clothes when taking a helicopter. Trust me. Pingback: Canadian Curlers Disqualified for Being "Extremely Drunk"